Have a Monoprice maker select with a Micro Swiss hotend, and am using Cura IIIP. Edit: plus Janbex PLA 1.75mm filament. 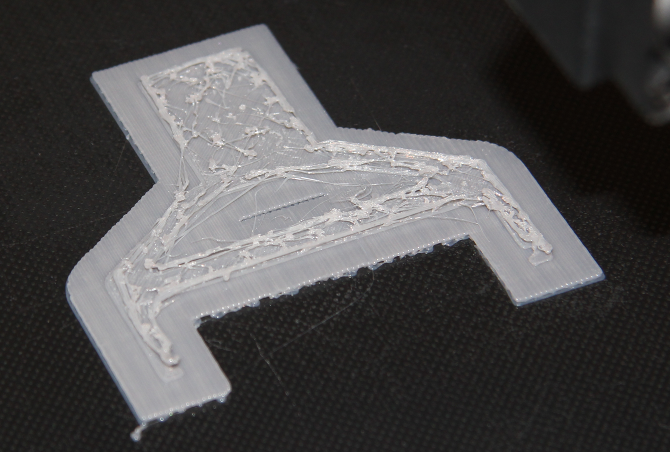 Trying to print a Pi camera mount, but am getting (I believe) under extrusion, as seen here. 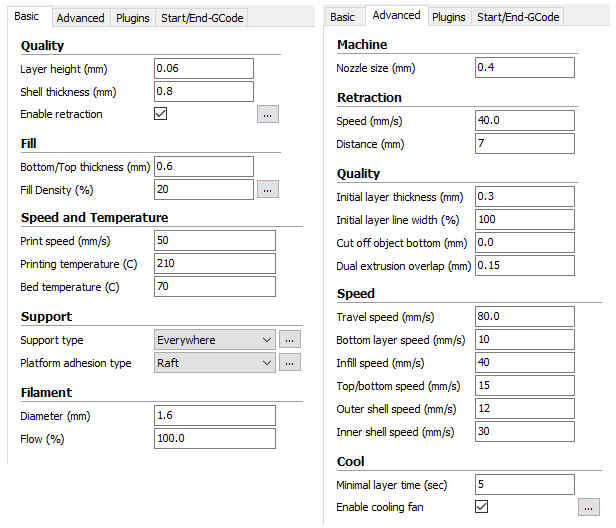 My Cura settings are these. Does anybody see any obvious problems? What should I try to change? Edit: have played around with different temperatures, and some other settings (eg the filament diameter), but lost track of the reasons. Was following various instructions on web pages. Your filament is 1.75 mm, but you specified 1.6 mm in the Filament option Diameter (mm). Furthermore, your layer thickness is very small (0.06 mm), why not try 0.20 mm first; a thicker layer will cause a higher extrusion flow. It could be that the print speed is too high for the low layer size. Your initial layer 0.3 mm is also high, the maximum for a 0.4 mm nozzle. Why did you change so many parameters? The standard values work pretty well. Not the answer you're looking for? Browse other questions tagged cura extrusion monoprice or ask your own question.